Much of my work is commissioned. 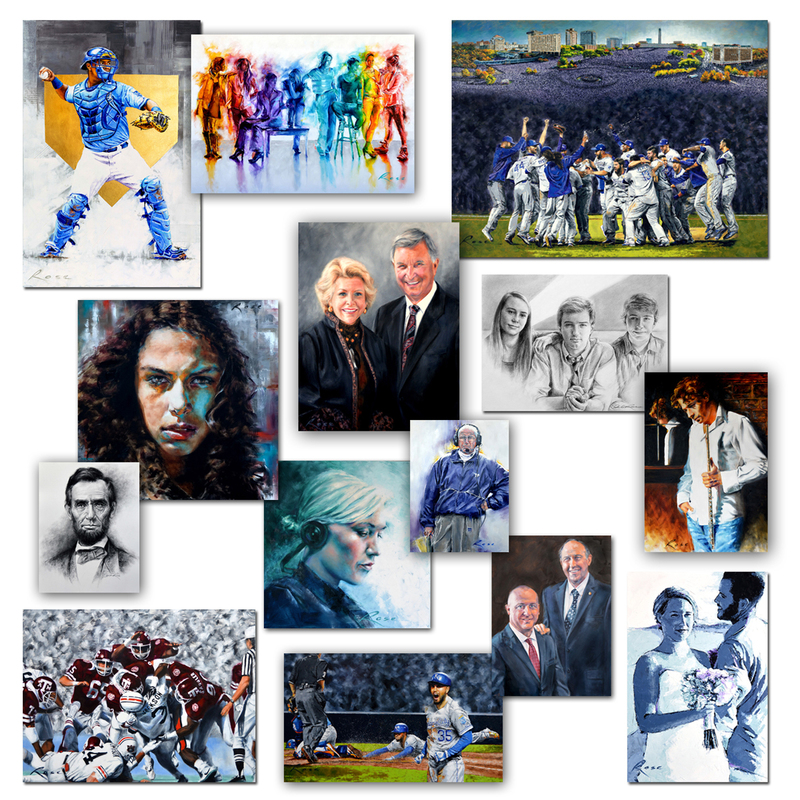 Clients include private collectors, corporations, institutions, and professional & collegiate sports organizations. I paint both traditional portraits and contemporary, non-traditional portraits and figurative pieces. The source for the work can be photographs or "live" sittings, or some combination of both. The fee for commissions varies widely, based primarily on size, medium and subject. Typically, I request 50% upfront, with the remainder due upon completion. For more details and availability, please contact me directly - see "Contact Information"